Are there times when you struggle to focus on the task at hand? Perhaps that’s because there’s too much going on in your attentional field. What’s that? It’s a term used to describe everything within your attention span – your thoughts, emotions, physical sensations, sights and sounds around you. Right now your attention is on the website reading this, but you may at the same time be distracted by other things like the mug of tea you’re sipping, the sound of your child or pet in the background, the thoughts of a deadline looming later today. Focus is the ability to attend to internal cues (what’s going on inside of you, your feelings and thoughts) and external cues (what’s going on around you, like the knock on the door) in your attentional field. In all areas of life, whether you’re giving a presentation at work, having an important conversation with your spouse or training for a marathon, in order to excel you need to be able to focus. In order to tap into the tremendous power of concentration, determine what the relevant cues to the task at hand are and learn to focus only on them. We learn to selectively focus on or block out cues every day, otherwise the background noises and activities would drive us crazy. Think about a star ball player. He must be in tune to his technique, his opponent, the score, the referee, the coach, and time remaining on the scoreboard, to name only a few cues vying for his attention. What would happen if his focus shifted to the pretty girl in the bleachers? He, in all likelihood, might miss the ball flying towards him. Hence at this point and time, that pretty girl would be considered a performance-irrelevant cue that must be ignored. So the second skill for achieving better focus is determining what the performance-irrelevant cues are so you can ignore them as you strive to excel. These would be anything that would hurt your performance when you must accomplish a task. Interfering cues are those that directly hurt your performance such as negative thoughts, anxiety, and concern over what others think. Irrelevant cues are those that distract you from an effective focus including what restaurant you’ll go to tonight, the project that you must finish by tomorrow, or that pretty girl in the bleachers. Internal-focus style. These people are totally and consistently focused during a specific activity like a presentation, a practice session or a competition. They need to keep their focus narrow, thinking only about their performance all the time. The down side of this intensity is that they also tend to be easily distracted by their surroundings. External-focus style. These people only focus on their specific activity when they’re about to begin the event or competition. They function better by taking their mind off of the activity at all other times, because they tend to over-think, becoming negative, critical, and anxious. For them to excel, they must focus on other things when they’re not actually performing. Neither approach is right or wrong. The important thing is identifying your focus style and utilizing it to improve your powers of concentration. If you’re trying to force yourself to adopt a style other than your own, you’ll find that under pressure you’ll revert back to your normal style and that could really throw you off your game. Would you like assistance in utilizing your personal style to excel at everything you do? We can work together in person or via Skype. Please contact me and I’ll be happy to help you identify your weakness and learn how to tap into your strengths. 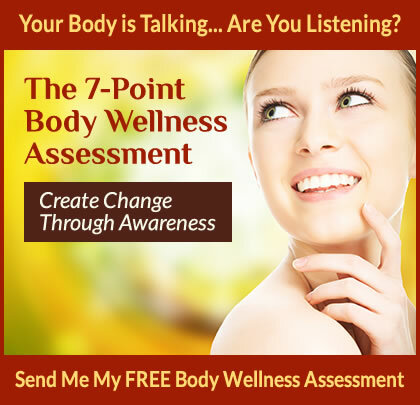 A good place to begin is by taking my 7-Point Wellness Assessment. You can download your free copy by clicking here.